take care you too & have a happy day ahead! Hey it really is a helpful post 🙂 Thanks! Thanks, I’m honored! 🙂 take care & stay blessed. I think you’ve brought up some great points here. There are some tips in here I need to brush up on, but I think in general a lot of bloggers get frustrated because they forget the old adage: You get what you give. And when I say adage, I mean New Radicals song: http://www.youtube.com/watch?v=cPAEFnVZVOs 😉 Keep up the great content, I’ve enjoyed reading your blog. Lots of good stuff here–thanks for sharing! You are right that we need to take the blogging seriously and do comment on their blogs seriously instead of making it another social networking site. Ohh thanks but i just started a month back and quite junior to you so keep guiding me okey! hahaa well, in that case, i haven’t completed a month yet, so in that case, i become your junior! You should publish this as a Featured Page or a Sticky post on you blog.. so that everyone who visits won’t miss these very relevant points.. excellent.. very helpful post for people who are new to the blogging universe..
Great post. 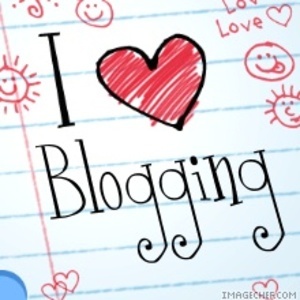 I liked the way you’ve covered many aspects of blogging with this post. What I believe the most important factor of blogging is good content. A blog can never survive for a longer period of time without unique and good content. Hey Arindam, very true, so agree with you & I’m really glad that you liked it. After all, one of the reasons to blog, is to share & exchange our knowledge with others, apart from making it a channel to vent our thoughts out! Looking forward to reading more of your posts.. 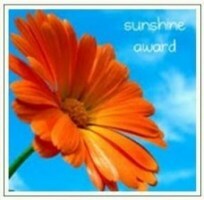 I want to thank you for commenting on my blog. After reading this post, I must say it’s worth a treasure. I’ll always keep it close. It is such a creative blog, there is no way that I would forget yours! Hey dear Rahul, i’m really happy that you like this ‘INSIGHT’ 😉 🙂 keep dropping by like how I’d be around your blog! Thank you @Teju for talking about the power of blogging relationships. Also, I’m glad you liked the Whiteface Mountain image on my Adirondack Color In Pictures blog. Hey J, thank you! I so totally enjoyed your blog! Looking forward to more visits from you. Hi Tejaswini, Agree with you, Its important to be active in social sites, reply for comments & also if somebody needs improvement in their site or found something useful in blog should suggest or appreciate for the work. It helps the blogger to grow better. I love this topic. Networking on social media sites is key especially in today’s society. Great post and great tips!!! Thanks for the updates you gave, and don’t consider this comment “that I have written for the sake of commenting” ;)…. ya but eventually it was useful in many ways..
Keep Writing and happy blogging..!! Great post and take-aways, thank you. I wonder what kind of time commitment one needs to make to improve one’s blogging connectivity. This seems to remain a challenge to me, what with having to wade trough mails and social sites. hi teju 🙂 ……..like your “opinion that one should not give any comments or like the blog just for the sake”………… and moreover your beautiful insight that will help the people who just started writings blog………………..
Tejaswini, Perfectly said, Communication with other bloggers is very important, even if we post great content we require readers to like the content.social media is a best place to meet so many like readers which helps each other to learn and share. By replying comments or writing guest post will definitely get more traffic and our communication with other blogger will get better. Teju, you are quiet right to state: ‘Be genuine. Do not comment on blogs just for the heck of it. Make sure your posts have some meaning and quality to it’. Although a ‘Wow, that is awesome’ can be good fun, comments with a bit extra text and thought make blogging more meaningful and fruitful. May 2013 be a great year to you. And oh yes, wish you and your family a very, very happy and a blessed new year. May this turn out to be your best one.